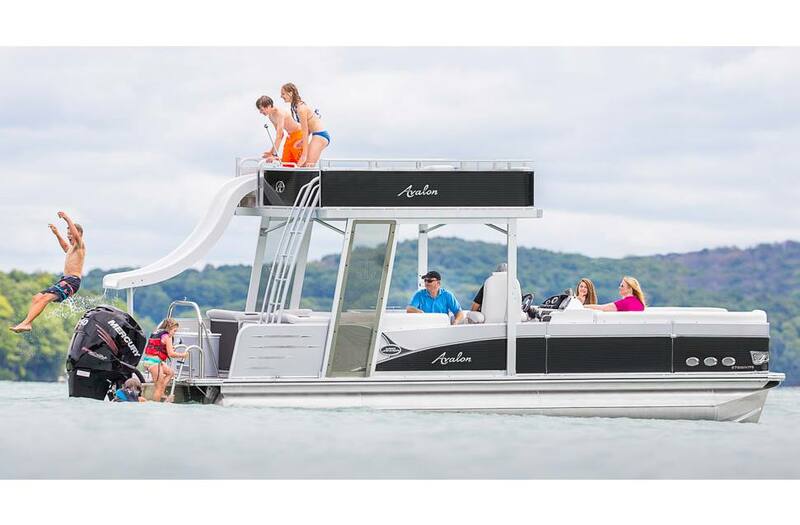 Our double decker pontoon boat lets you enjoy family fun every weekend with your own waterpark on the water. 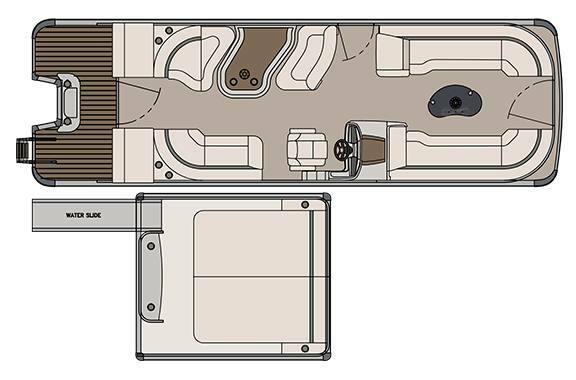 The Catalina Platinum Funship is loaded with features like a slide with water pump, a double-wide lounge, a storage center with speakers, and remote stereo controls. 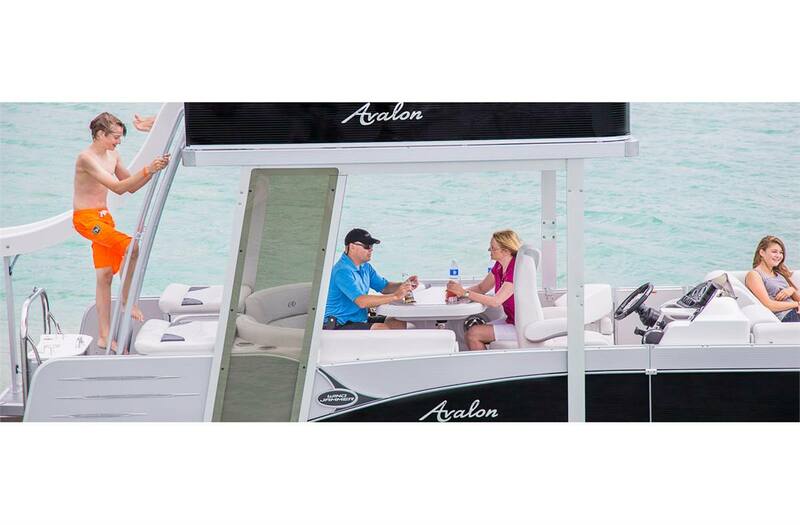 The Funship also features our Waveglider triple 27" diameter performance pontoons. 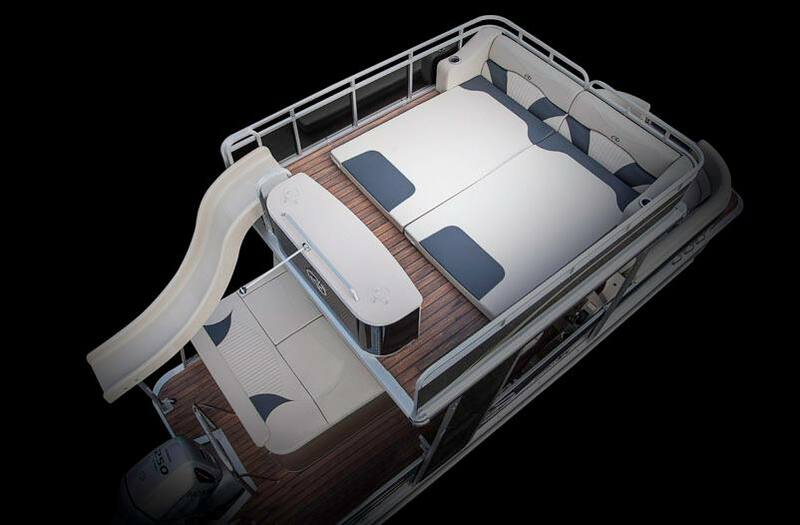 So slide, swim, lounge, entertain and even waterski with this complete family Funship. Boat Length Overall: 28 ft. 6 in. Deck Length: 27 ft. 3 in. Upgrade triple 25" to 27"
Top – electric Bimini (round tube) exch. Wakeboard arch speaker – PREM. SND. Wakeboard tower speaker – HI PERF SND. Shore power – A/C I/O Charger, Inv.